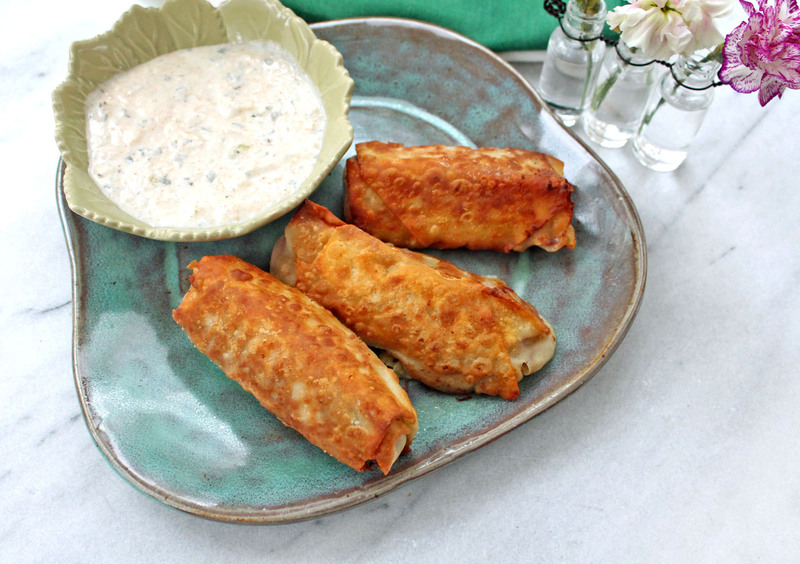 This recipe has been in my recipe box for at least 30 years – I got it from a package of egg roll wrappers way back when Paul and I were students in college; I haven’t been able to find a recipe like it out there since. I’m not sure why this is called a “spring” roll, as it looks nothing like what most people associate with that term. It’s not a traditional egg roll recipe, either, as it doesn’t call for cabbage or carrots. That’s probably why my family has always liked this recipe…. I had to quit making this when we went gluten-free, as traditional egg roll wrappers are chock full of wheat. I was, however, able to find traditional spring roll wrappers, and I have used those with a modicum of success – they don’t fry up very nicely, but since that’s about the only thing I’ve found that can be used, I make do. Fry onion in oil until soft. Stir in meat, garlic salt, and soy. Cook until browned. Add bean sprouts and water chestnuts. Mix well. Drain and discard any excess liquid; cool filling (completely). Mix cornstarch with water, and moisten edges of egg roll wrapper. Spoon filling (couple of tablespoons) onto wrapper. Fold bottom edge of wrapper just to cover filling; fold left and right edges toward center. Roll up to seal; moistening final edge a little more, if necessary to keep egg roll closed. Deep fry a few rolls at a time in hot oil until golden; about 3 minutes. Drain. You can serve these whole, or slice each one into 4 individual pieces. Serve with your favorite dipping sauce. 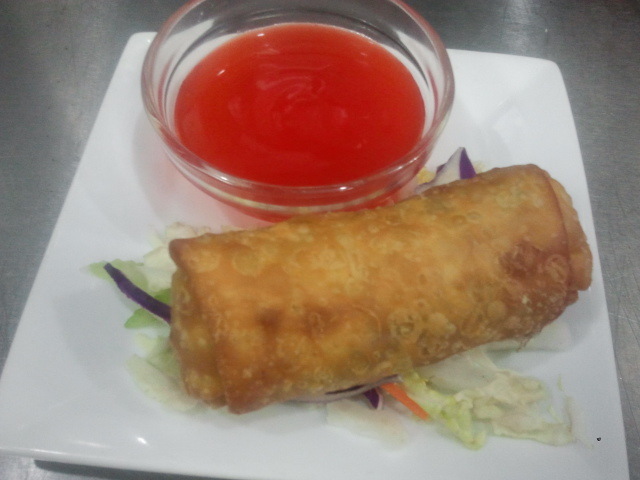 This entry was posted in Foodie Friday, Recipes and tagged Egg Roll, Spring Roll. Bookmark the permalink.